MuleFreedom PR: FOGHORN LEGHORN RETURN - NOT BEFORE TIME! FOGHORN LEGHORN RETURN - NOT BEFORE TIME! 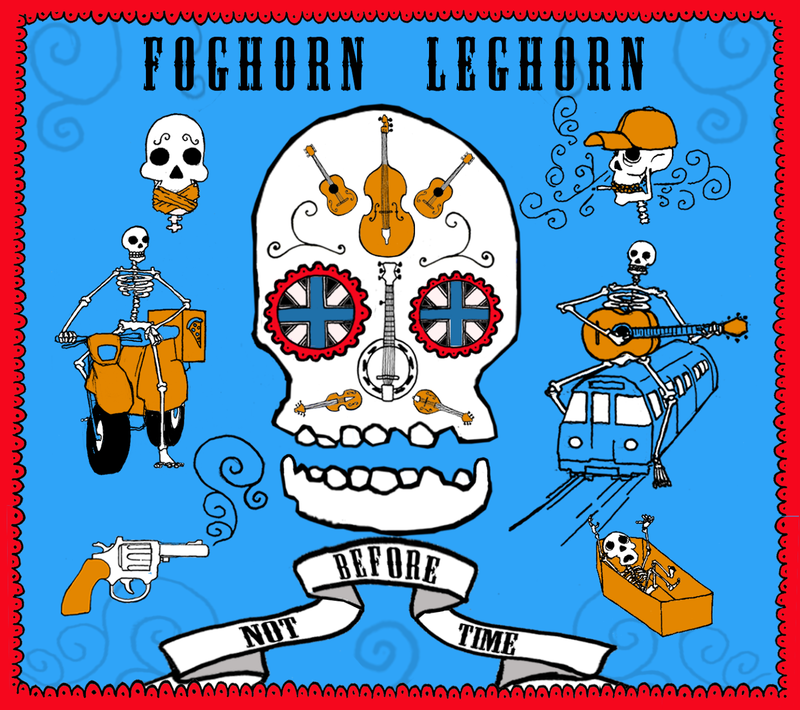 London bluegrass allstars Foghorn Leghorn return to celebrate their 21st Anniversary with their appropriately titled third album Not Before Time on their own Slammer Records label. Recorded during November and December last year at double-bassist Chris Clarke’s Reservoir Studios in North London, Not Before Time comprises eleven Foghorn originals alongside the Bill Evans instrumental ‘Petersberg Gal’, a perfect showpiece for fleet-finger banjo-picker Tim Kent. But this is no pseudo mountain music: many of the original songs concern themselves with life and death in their home city of London. Accordingly, the album comes wrapped in a vibrant ‘Day Of The Dead’ sleeve design by artist Frank Burgess. 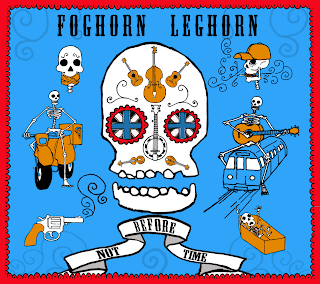 While this momentous occasion is nothing to be sniffed at, the release also marks the fourth year of Foghorn’s own club night, My Grass Is Blue, which takes place every second Thursday of the month at noted London live music pub, The Betsey Trotwood in Clerkenwell. It’s here that the band have roadtested the songs for the album, alongside handpicked special guests including The Coal Porters, The Arlenes, Danny George Wilson and The Cedars. They also put in a cameo appearance on the forthcoming album from Danny & The Champions Of The World, with whom Clarke has been holding down the bass job for the past three years. With several decades of service on the UK roots music scene between them, Clarke and Kent – both of whom have served time in the legendary Rockingbirds – are joined by Eamonn Flynn (Southern Tenant Folk Union, Hackney 5-O) on mandolin, Kevin O’Neill (Snake Oil Rattlers) on Dobro, Del Brookes on guitar and new boy Paul Fay (Sons Of the Desert, The Other Brothers) on fiddle. Releasing albums Keep It In The Family (2001) and Grasslands (2004), together they have racked up hundreds of gigs and festivals – including several Glastonbury appearances – and been championed by the great Andy Kershaw. After twenty-one years it’s time to take it to the next level – Not Before Time!